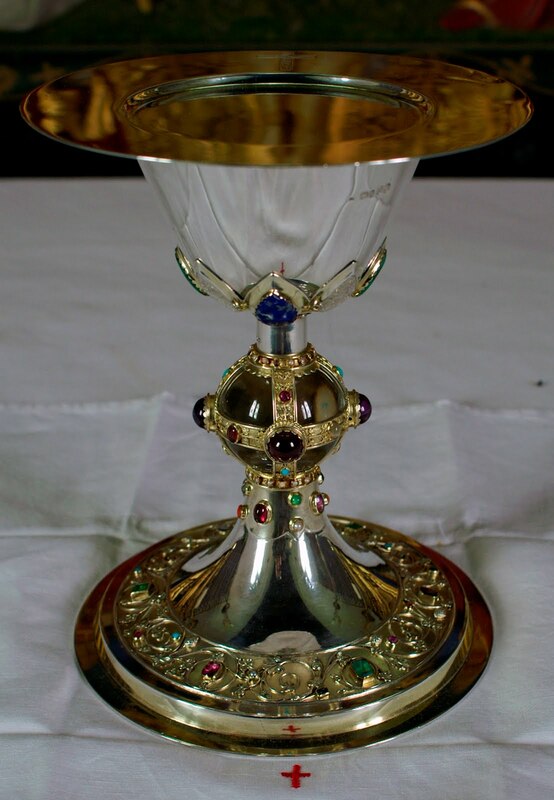 This stunning Gothic Revival chalice and paten were produced in the workshop of the firm of Barkentin and Krall, sometime in the late 1860s or early 1870s. The firm of Barkentin and Krall was founded in 1868 when Danish born goldsmith Jes Barkentin (1815-1883) entered into partnership with a talented young German born Goldsmith Carl Christopher Krall (1844-1923). Operating from premises in Regent Street in central London, the firm was undoubtedly the foremost ecclesiastical goldsmith in the later nineteenth century. Krall was very much the artistic driving force of the partnership and this chalice is almost certainly his work. 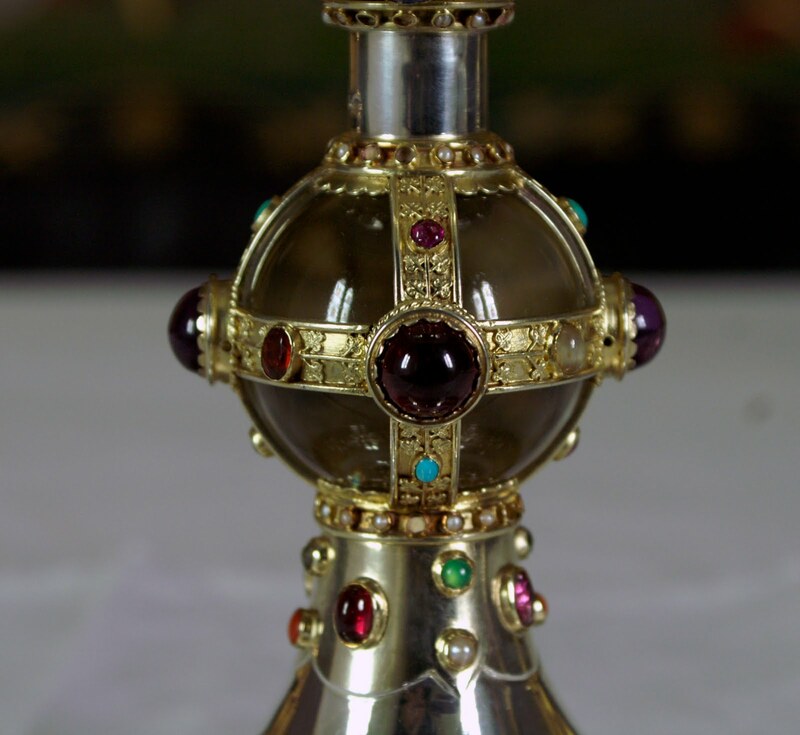 Krall worked with leading Gothic revival architects and designers, including William Burges and it possible that this chalice was designed by Burges, though it may owe more to Krall's own inventiveness. A stunning piece, it is executed in silver, that is parcel gilt and studded with semi-precious stones and pearls, which are known to have been taken from the parure of the patron's mother. 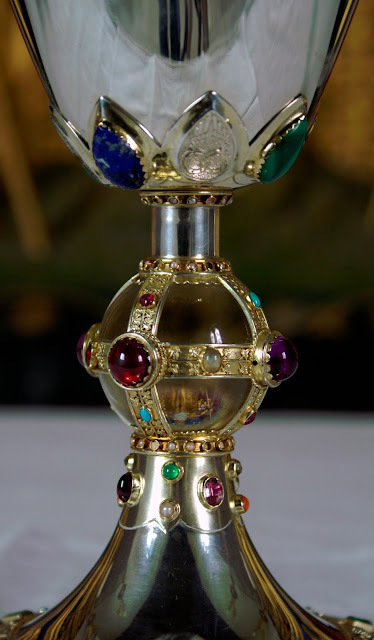 Gothic in form, though not slavishly so, this chalice seems to blend elements common in chalices of both the thirteenth and the fifteenth century. The bowl is small and conical, reflecting those of the late Middle Ages, while the circular foot and round knop, hearken back to earlier medieval forms. 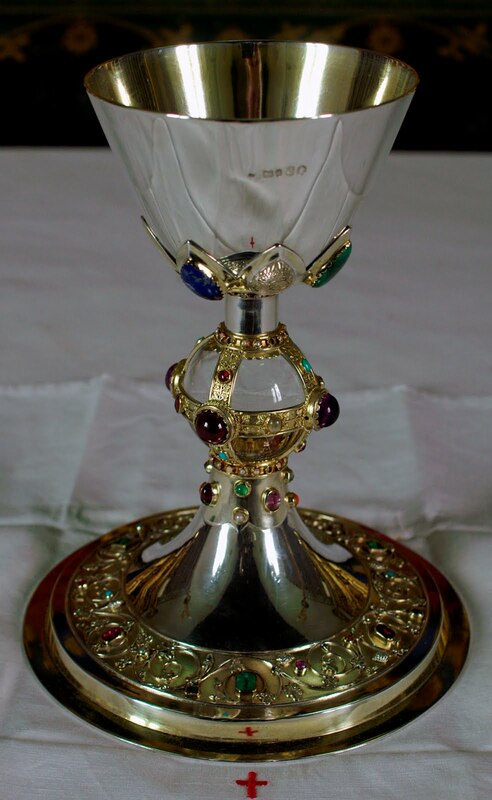 There is of course a degree of playfulness that is not found in early chalices and the knop is made of crystal and moves moves within it's delicate filigree setting. The delicate filigree settings for the jewels around the foot are in a delicate and very fluid Arts and Crafts manner. Art and architectural historian and Anglican clergyman, Allan Barton obtained his MA in Medieval Studies and Ph.D in Art History at the University of York. He is a fellow of the Society of Antiquaries of London.